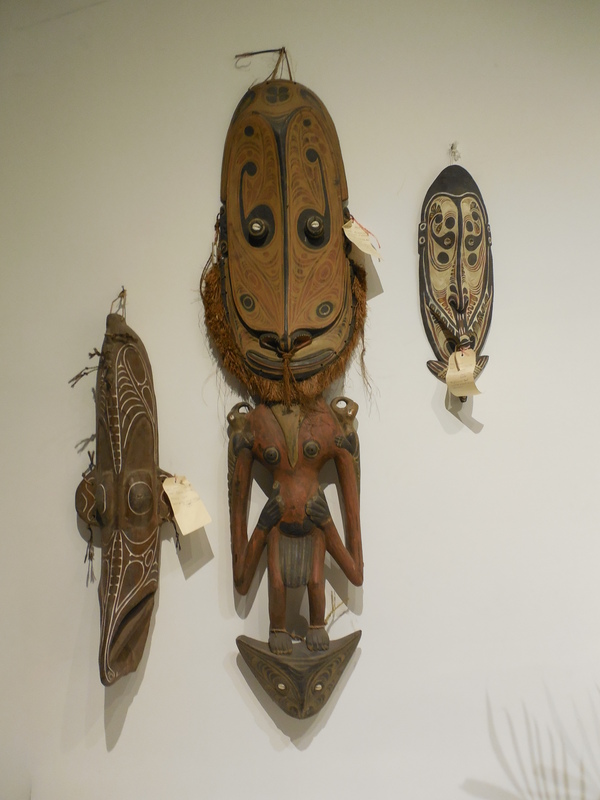 If New York City seems like a far away destination, imagine if you were coming to the Big Apple from Papua New Guinea. 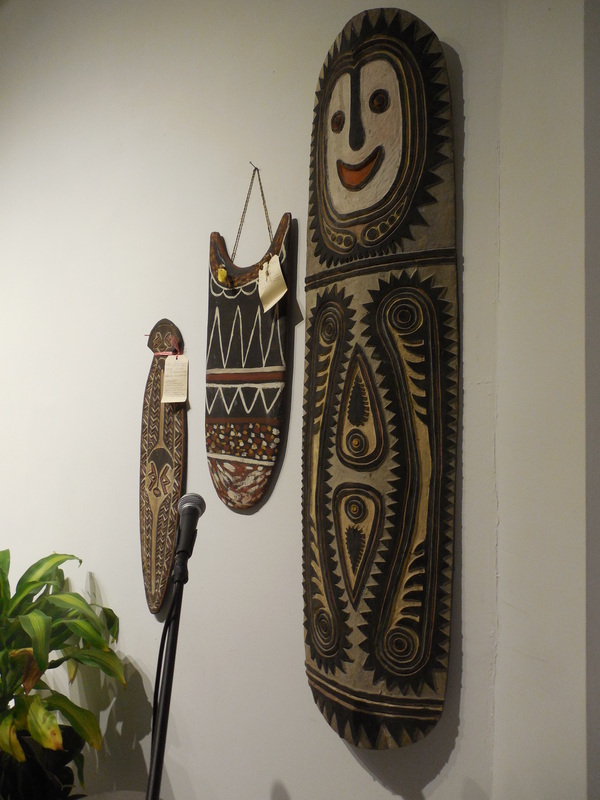 Last night, cultural representatives from Papua New Guinea Tourism hosted a reception inside their PNG Pop Up Village/Art Gallery in Manhattan’s Chelsea district. 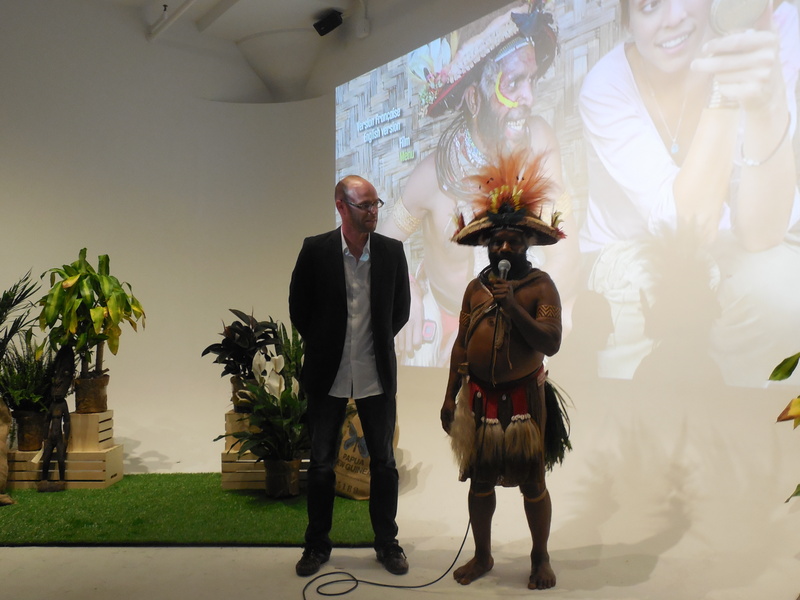 The evening party also featured a screening of the film, “Dancing with the Papuans.” Directed by French filmmaker Marc Dozier, the movie tells the real story of Mundiya Kepanga, a Huli tribesman who invited three Parisian cabaret dancers to Papua New Guinea to join his village in the country’s largest tribal gathering. Mundiya met the dancers at Cabaret Lido while on a trip to Paris. 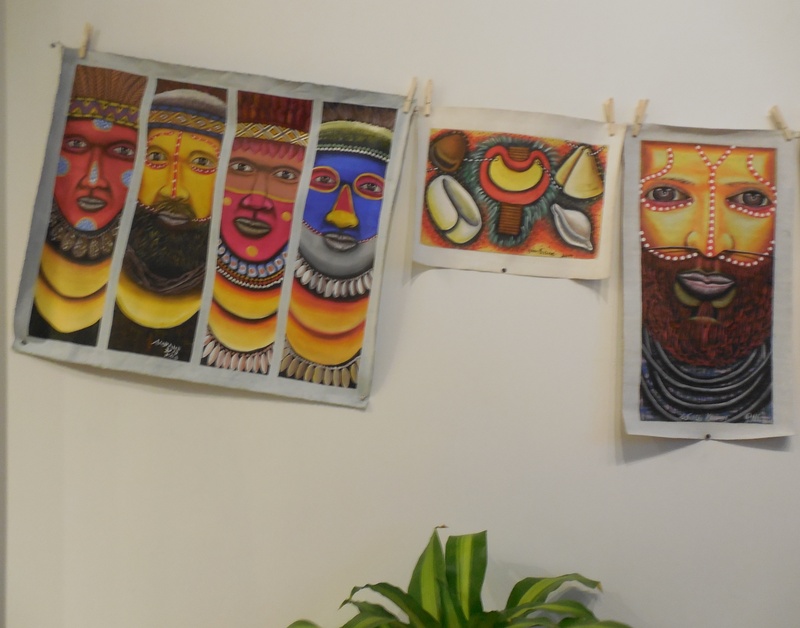 Mundiya and Dozier talked about the hour-long film before and after the showing, touching on everything from cultural differences to perceptions about beauty. The event also marked Mundiya’s first time visiting the United States. 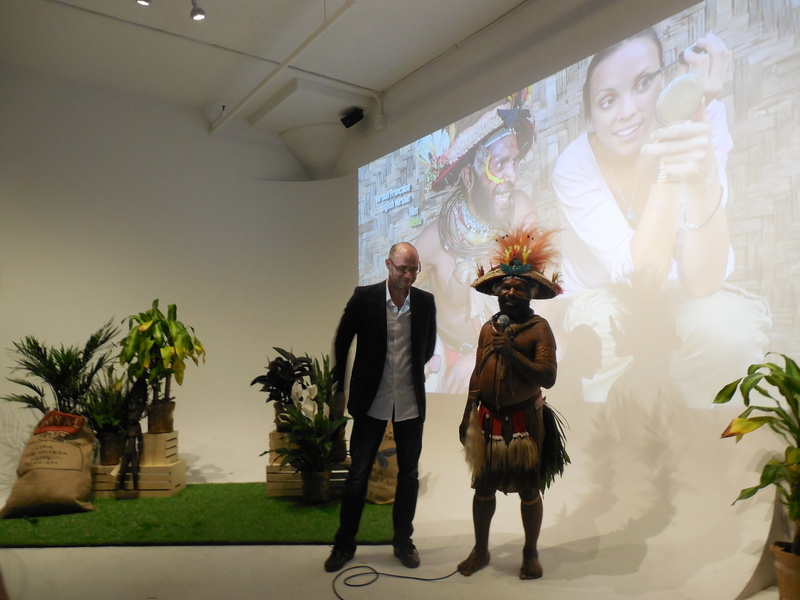 During Thursday, Mundiya and Papua New Guinea Master Carver Fabian Paino spent a promotional “day out” in New York City. Truly in tourist fashion, the two rode on a subway, went to the Empire State Building, and visited Times Square, even having their photo taken with The Naked Cowboy. Fabian was kind to pose with me for a photo. 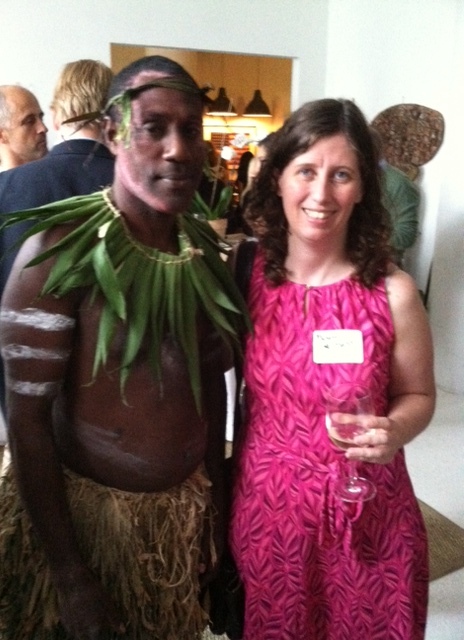 Now, if I could get to see Papua New Guinea, perhaps I should start taking dance lessons? 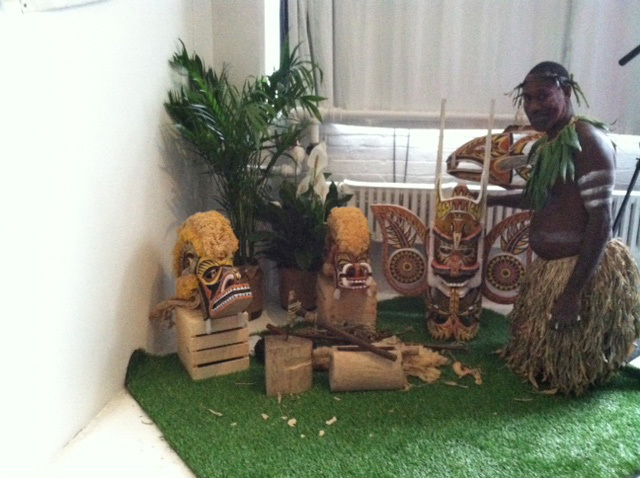 This entry was posted in Culture, Oceania, Papua New Guinea, Travel Events and tagged Dancing with the Papuans, Fabian Paino, filmmaker Marc Dozier, films about Papua New Guinea, Lido Cabaret, Mundiya Kepanga, Papua New Guinea, Papua New Guinea tourism, Papua New Guinea Tourism Board, visiting Papua New Guinea on June 13, 2014 by She Is Going Places.